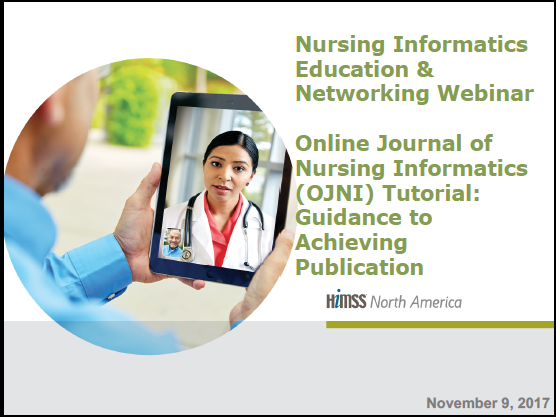 You are invited to attend the upcoming HIMSS Nursing Informatics Education & Networking Task Force Webinar Presentation Online Journal of Nursing Informatics (OJNI) Tutorial: Guidance to Achieving Publication taking place Thursday, November 9 at 10:00am PT l 12:00pm CT l 1:00pm ET (duration 1 hour). Powered by the HIMSS Foundation and the HIMSS Nursing Informatics Community, the Online Journal of Nursing Informatics (OJNI) is a free, international, peer reviewed publication that is published three times a year and supports all functional areas of nursing informatics. The journal was launched in 1996, with readership spanning over 49 countries. 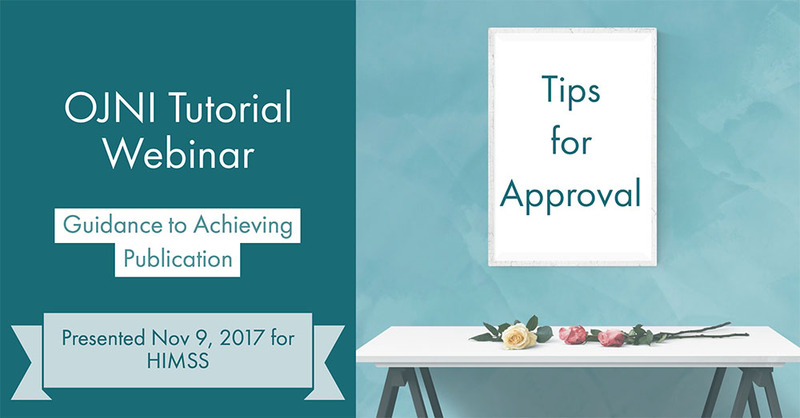 This webinar encompasses the history behind the journal in addition to tips, tricks, and best practices in becoming a successful author and/or peer reviewer from submission to publication. 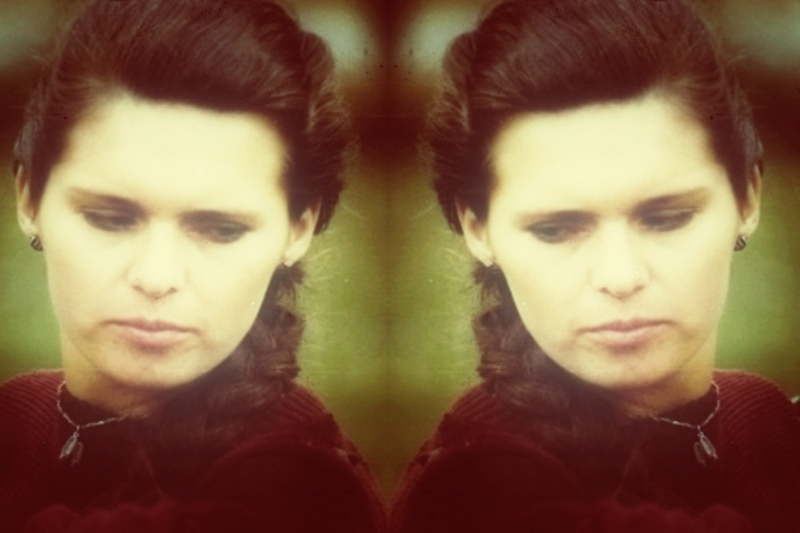 Discover the history behind the OJNI and the key stakeholders involved in the journal. Gain insight on the step-by-step process of the OJNI from submission to publication. Understand the peer-review process and guidelines to qualify as a peer reviewer. Learn tips, tricks, and best practices in successfully submitting to the journal. This webinar was hosted by the HIMSS Nursing Informatics Networking & Education Task Force. Attendees qualify for 1.0 CAHIMS/CPHIMS credit. ← Nursing Informatics Learning Center Fall Sale is On!